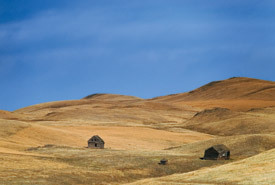 British Columbia's grasslands are an open oasis in the midst of a province typified by forest, mountain and coastline. Nestled among a handful of the province's bountiful and accessible river valleys, grasslands make up less than one per cent of BC's natural environment. And yet, despite their small footprint, an impressive diversity of plants and animals has come to rely on grasslands habitat for at least part of their life cycle. The result: an ecologically rich but extremely fragile landscape. Grasslands are a magnet for humans — we are attracted to their agriculture potential, ease of development and aesthetic qualities. Because of this, our impact on these landscapes has been extensive. The pressure is on to protect what remains. As one of BC’s critically endangered ecosystems, grasslands support more than a third of the province’s species at risk, while also facing strong development pressures. 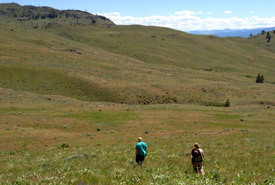 The Nature Conservancy of Canada (NCC) is building on past successes with ranchers and other landowners in the South Okanagan-Similkameen, the Thompson-Nicola and the Rocky Mountain Trench to conserve key grassland properties. 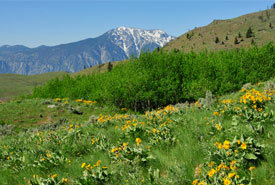 NCC is also expanding grassland conservation efforts into the beautiful Fraser River valley between Lillooet and Lytton. The loss of native grasslands means the loss of the species that require this uncommon habitat for their ongoing survival. Today, close to a third of all BC’s species at risk rely to some degree on grasslands for their survival. 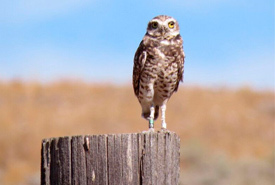 It’s not too late to protect sufficient habitat for species at risk and to maintain healthy, robust grasslands that flourish in harmony with human communities. 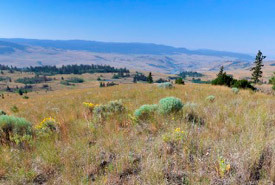 NCC is looking for partners who share our vision of protecting vast, connected tracts of grasslands in order to safeguard the plants, animals and natural communities that are a vital part of BC’s natural heritage. 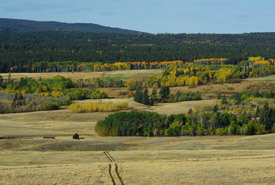 NCC has partnered with numerous heritage ranching families to help them protect the land that has been the source of their income and sustenance for decades. 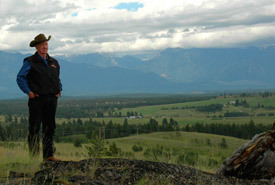 These conservation-ranching partnerships form an important part of our efforts to protect BC's disappearing grasslands.